Welcome to my site: a work in progress. My repository of promotional material, videos, audio (both for sale and free), sheet music (both for sale and free), schedule of upcoming events, gallery of photos and the flotsam and jetsam of fifty years of performance and teaching of the guitar. 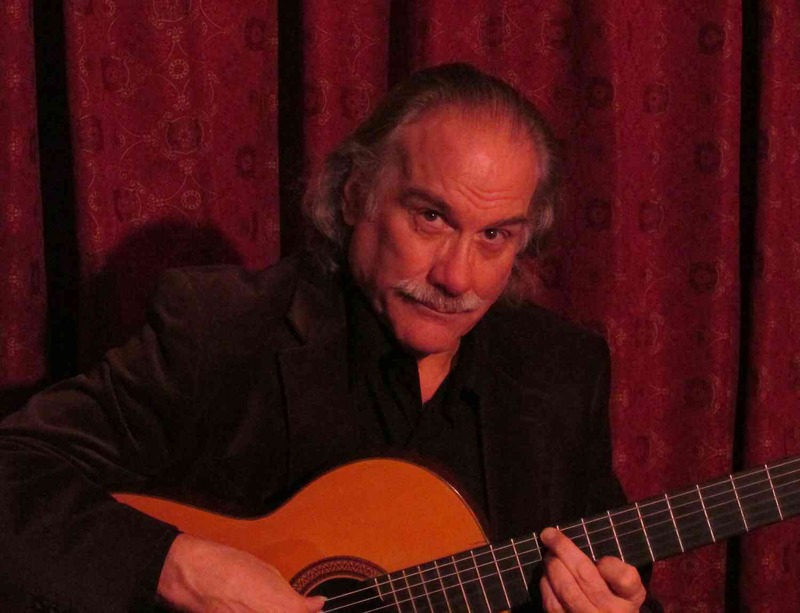 Classical guitar, flamenco guitar, Latin-American styles (particularly Brazilian), new music, and original compositions are all my areas of interest and some expertise. Enjoy! "Music in the Chapel Series"
In Concert May 5 in Celebration of Cinco de Mayo! A concert celebrating the richness of Latin-American music on the most famous historical date known to Americans. In Mexico Cinco de Mayo is also called Anniversary of the Battle of Puebla, a holiday celebrated in parts of Mexico and the United States in honour of a military victory in 1862 over the French forces of Napoleon III. Although commonly thought to be Mexico's "Independence Day" it is one of a few dates celebrated for that purpose. The program will include the music, both popular and erudite, of Mexico's "grandfather of classical music", Manuel Ponce ; also works by guitarists from Venzuela (Antonio Lauro), Argentina (Cacho Tirao), Cuba (Leo Brouwer), and Brazil (Baden Powell). Arrangements of the music of Ary Barroso (Brazil) and Astor Piazzolla (Argentina) and my own arrangements of the piano music of the famous Spanish pianist Isaac Albeniz will be performed. Of course, I will be performing some original flamenco compositions as well. The Chapel is visually stunning and an acoustic wonder that is very flattering for the guitar. Seating is limited so order your tickets soon! Lakewood Chapel is located in the Lakewood Cemetery at 3600 Hennepin Ave, Minneapolis at the southern end of the Uptown area.